Saint Lucia is a sovereign island country in the eastern Caribbean Sea on the boundary with the Atlantic Ocean. 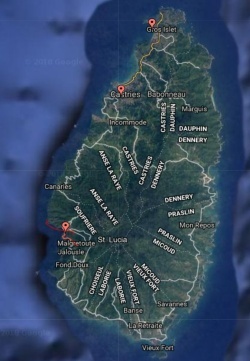 Part of the Lesser Antilles, it is located north-northeast of the island of Saint Vincent, northwest of Barbados and south of Martinique. It covers a land area of 617 km² (238 square miles) and reported a population of 165,595 in the 2010 census. Its capital is Castries. The French were the island's first European settlers. They signed a treaty with the native Carib Indians in 1660. England took control of the island from 1663 to 1667. In ensuing years, it was at war with France fourteen times, and rule of the island changed frequently (it was ruled seven times each by the French and British). In 1814, the British took definitive control of the island. Because it switched so often between British and French control, Saint Lucia was also known as the "Helen of the West Indies". 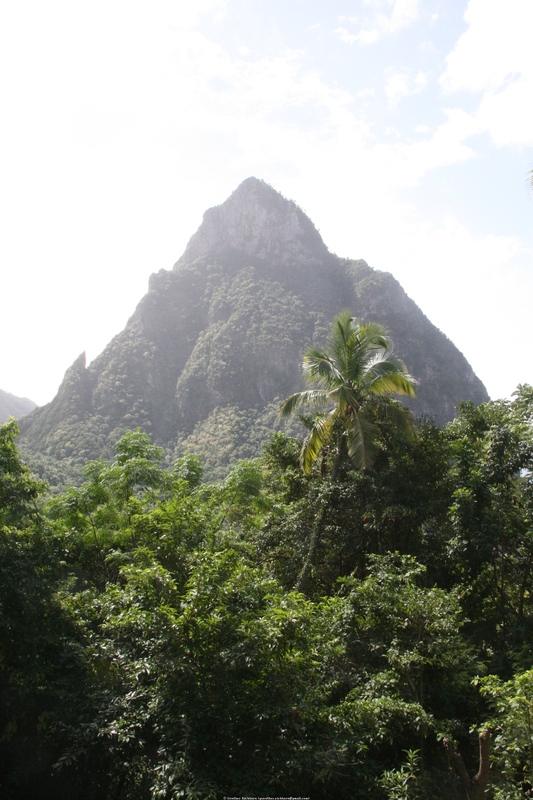 On Saint Lucia we had a land excursions around Soufrière. This one was more interesting than most of the others during the Caribbean Cruise. We visited a nice botanical garden near Soufrière, and then a volcanically active area with steam fumaroles and mud puddles. In the afternoon we relocated to Castries for the night. The next day we relocated further north to Reduit Beach for some snorkeling.